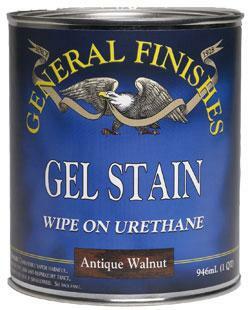 Gel Stains are formulated with a combination of pigments, oils, and urethanes. This is the stain that has the most "finishing feel" of all the General Finishes products we use, and is the most difficult finish to apply. Predominantly we use the Java for a rustic dark finish, which is closest to Espresso in the water based stain line.